"Many thanks to Dr. Rotman, he changed my life!" "Best Doctor Out There, Recommended To Anyone. Thank You Dr. Rotman!" Carlos Rotman, MD, FACOG, FACS, is an award-winning board-certified Gynecologist and Surgeon, serving as the Director of the prestigious Oak Brook Institute of Endoscopy, as well as Chief of Gynecology at Weiss Memorial Hospital and Medical Director of the Weiss Women's Health Center. Dr. Rotman sees patients from throughout the greater Oak Brook, area and beyond -- patients travel from all over the country and around the world to access Dr. Rotman’s expertise in providing an array of laparoscopy and gynecologic procedures including tubal reversal and reconstruction, and alternatives to hysterectomy. He is also well known for innovative treatments for endometriosis, pelvic pain, abnormal bleeding, fibroids, as well as fertility issues. Dr. Rotman is also a certified Laparoscopic Surgeon and Associate Professor of Obstetrics and Gynecology at Rush Medical College. A native of Argentina, Dr. Rotman earned his medical degree from the University of Buenos Aires and completed his residency and internship at Cook County Hospital. Since then, he has continued to research and publish extensively, including the largest series of laparoscopic tubal reversals in 2008 and the largest series of laparoscopic incidental appendectomies in 2009. Dr. Rotman’s experience with laparoscopy began during his time as a gynecology resident in the 1970s. He began to use laparoscopic techniques in 1980 to effectively and safely perform abdominal and pelvic surgery. Working with some of the world’s top endoscopic surgeons, Dr. Rotman has continually created and advanced new techniques and instrumentation that are widely used and considered standards in the field of endoscopic surgery, in addition to presenting and publishing over a hundred original papers, videos, and textbooks. 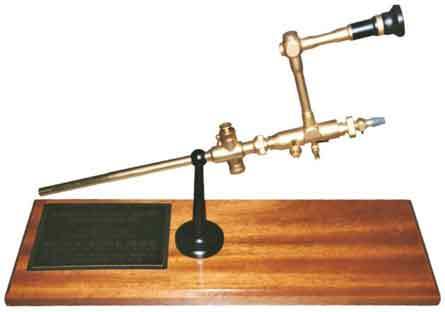 Dr. Rotman’s pioneering work earned him the coveted “Golden Laparoscope Award” from the American Association of Gynecologic Laparoscopists in 1994. He has achieved many other national and international honors as well, most recently winning First Prize in the renowned ACOG Film Festival in 2009 for “Alternatives to Hysterectomy”. He and his associates continue to pioneer revolutionary operative procedures, advancing both the efficacy of laparoscopy and their beneficial results for patients. In addition to being a recognized leader in his field, Dr. Carlos Rotman brings not just an extraordinary medical expertise, but a warm, caring, personal touch to his patients. They, in turn, are fiercely loyal to him, often traveling from out of state or even out of the country to continue under his care. With that rare combination of scientific acumen and profound humanity, Dr. Carlos Rotman has given hope to thousands of patients who thought they would never fulfill their dreams. Click here to view Dr. Rotman's detailed CV. Dr. Carlos Rotman has perfected the technique of laparoscopic tubal reversal surgery and is a recognized leader in his field. His pioneering work earned him the coveted "Golden Laparoscope Award" from the American Association of Gynecologic Laparascopists in 1994. He has achieved many other national and international honors as well, most recently winning First Prize in the renowned ACOG Film Festival in 2009 for "Alternatives to Hysterectomy". He and his associates continue to pioneer revolutionary operative procedures, advancing both the efficacy of laparoscopy and their beneficial results for patients. 57th Annual Meeting, American College of Obstetricians and Gynecologists. Chicago, Illinois. May, 2009. 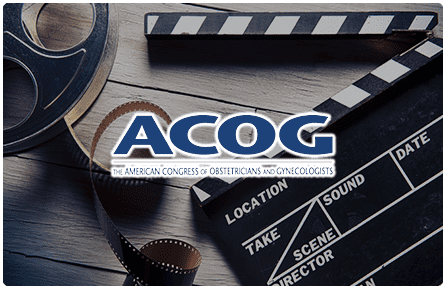 Second International Gynecologic Endoscopy Film Festival, American Association of Gynecologic Laparoscopists (AAGL). San Diego, California. July, 1994. We accept most major insurance plans. Here is a list of some of the insurance plans we accept. Please check with the office for additional insurance plans accepted by Dr. Rotman. "God speed to Dr. Rotman in everything he does. Thank goodness I found him. I hope anyone who has a problem or just for a check up go with him." "Dr. Rotman is the best gyne surgeon in the world! Nobody else could help me, but he fixed my problem like it was nothing. Thank you Dr. Rotman!!!" "Dr. Rotman is the best! He is a fabulous physician and has a great staff. I have been a patient of his for years and give him the highest recommendation." "I Appreciate Very Much What Dr. Carlos Rotman Did For My Mother Today. Thanks To His Great Service, My Mom Is Now Home And Recovering From A Surgery." "I still have my sight and my health and I have Dr. Rotman to thank for diagnosing me like Sherlock Holmes or Dr. House!" "When I came to see Dr. Rotman, it was like a breath of fresh air. He told me what was wrong and how to fix it."